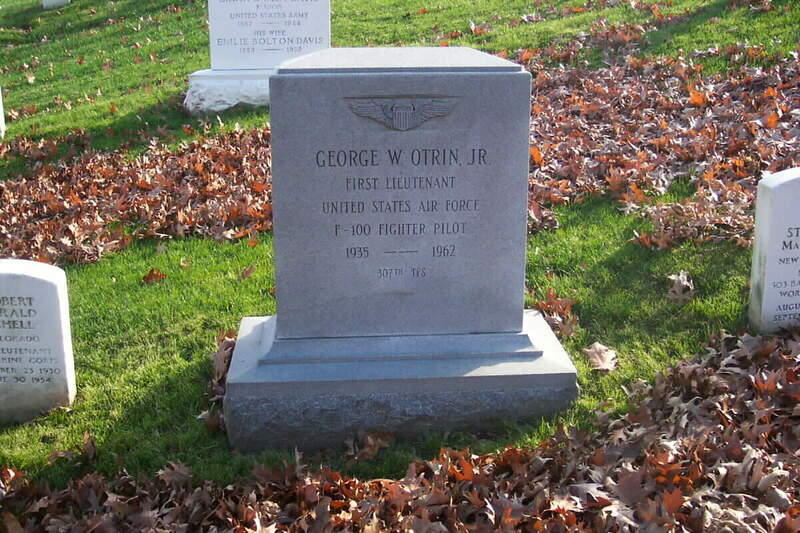 George Washington Otrin, Jr. was born in 1935. He served as a F-100 Fighter Pilot, 307th Tactical Fighter Squadron. He apparently died in that capacity 5 September 1962. He was subsequently buried with full military honors in Section 4 of Arlington National Cemetery. We continue to actively seek additional information regarding the Lieutenant.